you might have fed a neighbour’s cat once in a while, but the equivalent here is watching and milking the neighbours cow. ”I’ll be there in five minutes” is more like an hour or so, if you’re lucky. Essentially throw away that watch or turn off the clock function on your phone. everyone comes over every day uninvited for coffee – put down that book – it isn’t getting read! seeing the sun set and realising that life takes a different pace here. Now I’m curious, what do you know about Bosnia or the Balkan? I know nothing about Bosnia – I will let you know my thoughts when I visit for the 1st time in August ! I don’t know anything about Bosnia at all! It’s so amazing that everyone goes there for 6 weeks in the summer – you’re very lucky to have such a close-knit family! first of all, thank you for this post. As I travel a lot and as I live far from my home town because of my University, I can see now what I liked so much there : my family, the routine, the green landscapes with the cows and so on … So quiet and peaceful but at the same time so inconvenient for the life we live today in our modern societies. So even if I enjoy my new life in a “big” city (Geneva), I missed my home town sometimes. About Bosnia … Well, my grandfathers was living in Bosnia like other members of my family so I know many things about this country, even if I don’t speak the language. It’s been a while since I haven’t returned there but I am planning to go back this summer with my mom. But I remember I liked this country a lot because of the little beautiful things of life … As you mentioned the sunset for instance. The time goes on and you can see it clearly there; you live in this time, enjoying the simple things. After having spent three months in Kosovo two years ago and learning more about the entire region I can’t wait to finally make it to Bosnia too! I got married to an ex-yugoslavian (he is slovenian) and from what I know of Bosnia is that is beautiful, the people are super nice and the food is great! i really want to visit it soon, it’s so close! Well being from Greece, a lot of the things you describe remind me of how a village is in Greek! I was born and brought up in Athens, but my grandfather came from a village in Northern Greece, which has very few inhabitants during wintertime, but becomes lively in July and August. Thank fully, no gossip there!! That sounds real different than the place I live in. Seems like time has no meaning. Lovely to read! Thank you so much for this lovely post! I don’t know much, if anything, about the balkans, but I would love to learn more. 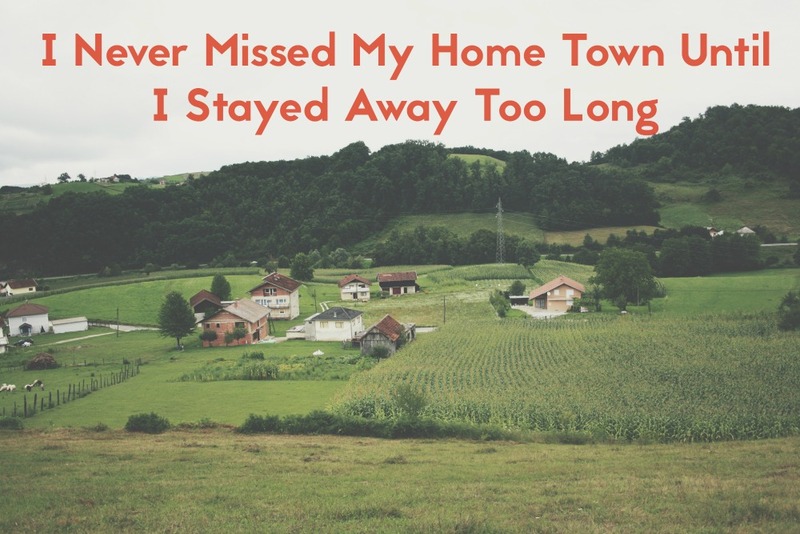 Perhaps it is because of my urban upbringing, but I always loved escaping to smaller rural villages and getting away from the buzzing, superficial, grey city setting. I’ve always wanted to milk a cow, feed chickens, run in a field, and do all the things you would do in a farm town. Whenever I go to France, the highlight is going to visit my aunt and uncle in their secluded village and breathing the fresh air, laughing, eating dinner under the stars, going for late night walks in the fields… It just makes me feel so at home for some reason! Two years ago, I was roadtripping with some friends to a festival in Slovenia, through Croatia to Bosnia (unfortunately only Sarejevo). I remember a beautiful blue river next to the road, crazy drivers (horses? not sure about that) and cars so old they wouldn’t be allowed to be driving around in the Netherlands. Also, we were drinking a lot in Sarejevo because it was the first time we would be in a city and it was kinda cheap so we drank a lot. Next day we forgot where we spent all our money. It was nice. Love to go back and explore more rural areas! Ik weet beschamend weinig maar ik vind het nu al geweldig. Bizar verschil met hoe het leven hier gaat maar zo’n groot verschil is misschien ook wel eens goed. Komt er meer Tea? Ah toe? This is amazing and so dead on! Cheers to those summer weeks when everyone is in town!